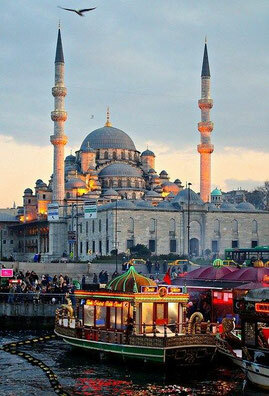 Turkey is the hinge between the continents of Europe and Asia; not only geologically but also culturally, in terms of temperature, history and architectural. But also in the country, which is also referred to as "Asia Minor", the differences can be very big. For example, the east of the country has a pronounced continental climate with hot summers and ice-cold winters with lots of snow while the south, along the Mediterranean, have a Mediterranean climate. The north on the Black Sea has a temperate maritime climate and the extreme southeast is predominantly dry and even locally desert-like. Because the country is so big, the temperature varies, it also has a very varied landscape - you have mountains to hike, beaches for sunbathing, a beautiful white limestone waterfall with hot springs and nature parks full of game (one says you even have the can still see panther, lynx, brown bear or wolf). About 95% of Turks are Muslim but you can order a beer anywhere and it is forbidden to enter covered in a public building. Religion and state are completely separate as in every (other) European constitution. 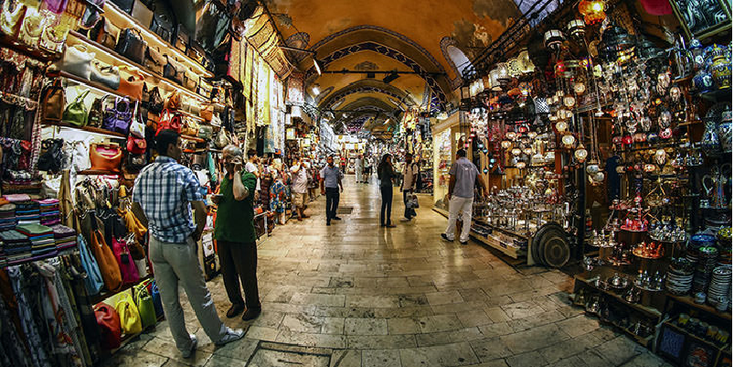 The Turks are Eastern hospitable (you are invited at least a few times to drink tea) but have a free market economy and are especially interested and curious about everything that comes from the West. The history of Turkey has been impressive and very important for large parts of Europe but also for the Middle East, Africa and Asia. The oldest cities can be found in the country, the Greek legacy is larger here than in Greece and how about the ruins of "Ephesus" - a Roman settlement that can match the large sites in Italy itself. You can also find many "Biblical" places in the country. The crusaders thought themselves through the country, Mongolian hordes raged through Turkey and of course the country was the motherland of the Ottoman Empire which took over large parts in Europe (Balkans), North Africa, Middle East and even Asia (Caucasus, Crimea). There was huge fighting in the East of the country during WWI between the Kurds and Turks on the one hand and the Armenians and Russians on the other but also during the Gallipoli action (including the ANZAC army) hundreds of thousands soldiers would die. Mustafa Kemal would celebrate his first triumphs there and later throw the "occupiers" out of his country as the blessed leader of the new Turkish republic. Did you know that Turkish cuisine is regarded as the third kitchen of the world behind the French and Italian? In Istanbul there is the real bridge between Europe and Asia and is the only city worldwide that is located in two continents. Here you can visit the famous "sultan" palace which, for centuries, ruled the "civilized" world, in addition to beautiful mosques, churches, the dizzying bazaar. On the Mediterranean you have beautiful beaches (including "Uludeniz") but also many archaeological sites. Cappadocia is another unique site in Turkey that you simply can not miss. Underground cities, cave dwellings and volcanic cones and chimneys are your part here. East palaces that remind you of a "fantasy like 1001 night" and for example the old Armenian capital on a plateau of which only the ruins still stand. The holy mountain "Ararat", the tomb of Apostle John, the Ark of Noah and the cave house of Abraham - all can be admired in this overwhelming country Turkey but also old Ottoman houses, the battlefields of WWI, stone heads on the mountain "Nemrut "Or carved out temples with beautiful frescoes. 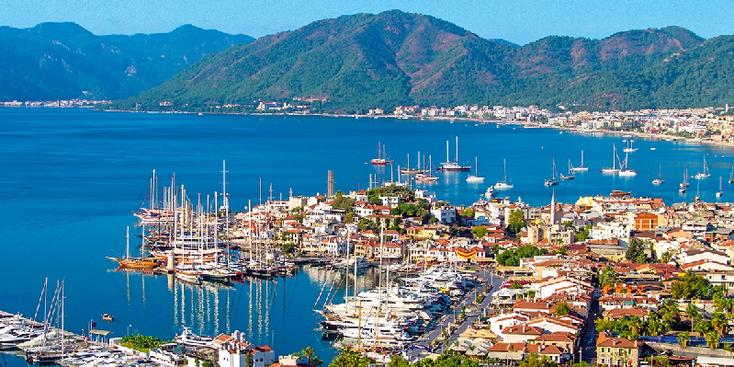 Turkey is such a diverse country that you need weeks to absorb everything. Turkey is at the moment constant in the news due to an attempt of a coup in 2016. 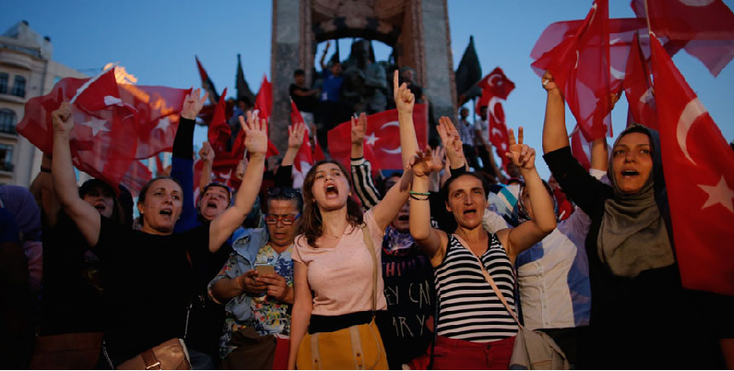 So called members of the Gullen-movement would be behind the coup according to president “Erdogan” and thousands of them are imprisonement without any charges. Erdogan is trying to get more and more power and news is censored. Tourism from Western people is declined sharpy the last few years.